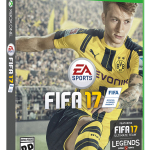 REDWOOD CITY, Calif.--(BUSINESS WIRE)--Today, Electronic Arts Inc. (NASDAQ:EA) announced that fans chose Marco Reus of Borussia Dortmund to be the global cover athlete of EA SPORTS™ FIFA 17. Over the past two weeks, fans have voted on the official FIFA Cover Vote Website for their favorite player among four FIFA 17 ambassadors, James Rodriguez of Real Madrid C.F., Anthony Martial of Manchester United, Eden Hazard of Chelsea FC, or Marco Reus of Borussia Dortmund. Fans cast over 3.1 million votes, with Reus emerging as the victor. Reus is a highly-decorated winger, and is widely regarded as one of the most dangerous attackers in Europe. Reus was named Footballer of the Year in Germany in 2012, and has 29 appearances with the German National Team. Reus was also recently named captain of Dortmund, and will be wearing the captain’s armband in the coming season. All four players featured in this year’s cover vote are global ambassadors for FIFA 17 and influenced key gameplay features to bring innovation to the way players think and move, physically interact with opponents, take set pieces, and use new techniques in attack. Reus serves as the face of the new Active Intelligence System, which impacts off the ball activity and the way players move, read and react. With innovative gameplay features that let fans own every moment on the pitch, FIFA 17 brings an overhaul to Physical Play, a Set Piece Rewrite, New Attacking Techniques, and a brand new Active Intelligence System. 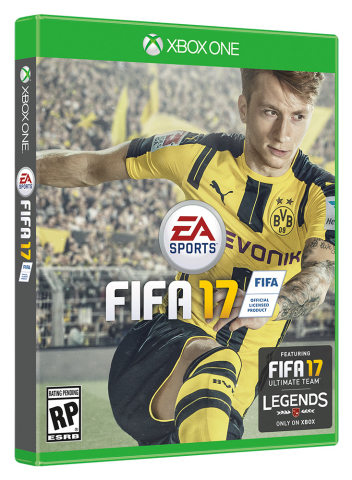 Fans can learn more about new features to FIFA 17 by visiting FIFA 17’s website, and by becoming an EA SPORTS FIFA Insider (http://easports.com/fifa ). Fans can also join the EA SPORTS FIFA community http://www.facebook.com/easportsfifa and follow us on Twitter @easportsfifa and Instagram. EA SPORTS FIFA 17 is developed by EA Vancouver and will be available in North America on September 27 and worldwide on September 29 on Origin™ for PC, Xbox One, PlayStation®4, Xbox 360® and PlayStation®3. Fans who pre-order FIFA 17 Super Deluxe Edition can get up to 40 FIFA Ultimate Team™ Jumbo Premium Gold Packs, Team of the Week loan players, and other FUT content. Click here to read about all our available pre-order offers. EA Access* members on Xbox One and Origin Access* members on PC can play the game early with Play First Trials. Stay tuned for more information on access timing and availability. FIFA 17 is powered by Frostbite™**. One of the industry’s leading game engines, Frostbite delivers authentic, true-to-life action, takes players to new football worlds, and introduces fans to characters full of depth and emotion. *CONDITIONS, LIMITATIONS AND EXCLUSIONS APPLY. SEE EA.COM/EAACCESS/TERMS AND http://www.origin.com/store/origin-access FOR DETAILS. EA, EA SPORTS, Origin, The Sims, Dragon Age, Plants vs. Zombies and Battlefield are trademarks of Electronic Arts Inc. and its subsidiaries. John Madden, NFL and FIFA are the property of their respective owners and used with permission.